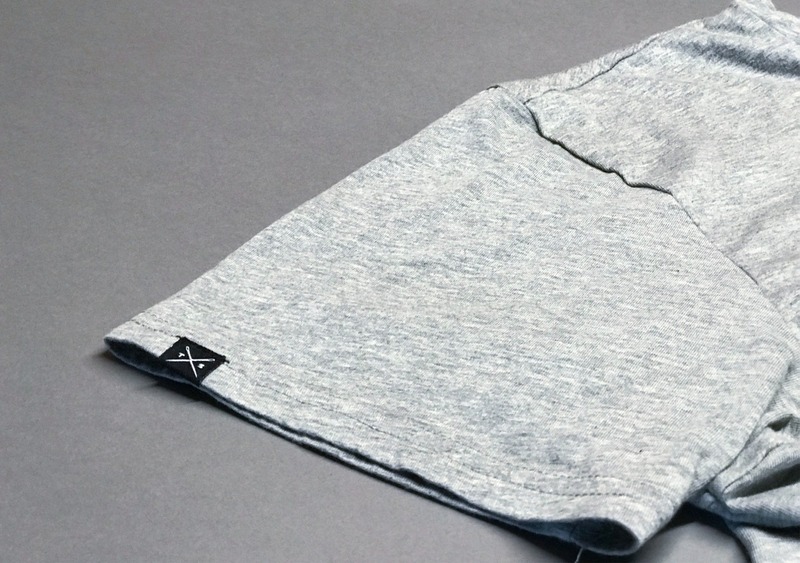 The Cavalier T-Shirt from Threadsmiths repels liquids, dirt and grime. Great for food fights, if you have an infant, or you’re just really bad at eating. In this review, we’re testing out the Cavalier t-shirt from Threadsmiths. 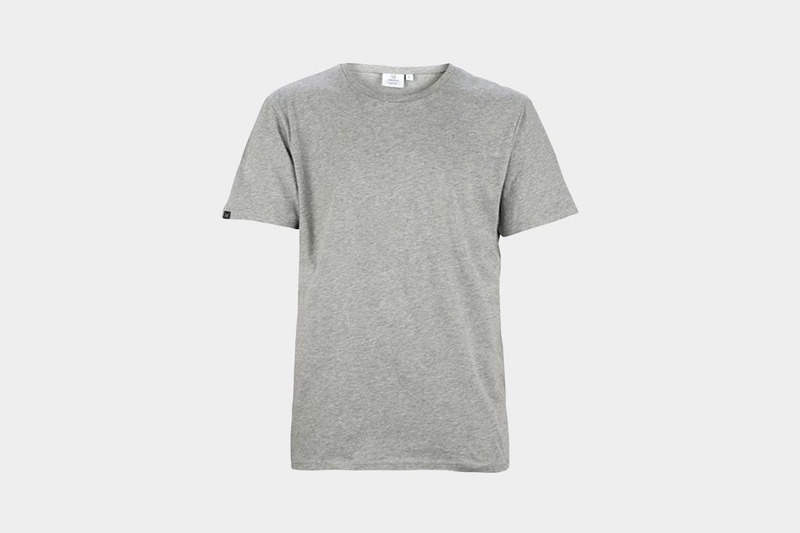 This shirt looks like any regular t-shirt, but it is designed to repel liquids, dirt, and grime. We were a little skeptical at first, but after some rigorous testing—it held up pretty well! The first thing we noticed after unboxing the Cavalier t-shirt was the feel—it’s a little… tacky? Sticky? Sort of hard to describe, it’s like when you spill some toothpaste on your shirt and it gets a little sticky and kinda starchy. It feels fine when you’re wearing it, but definitely a little different than cotton or merino wool. But hey, if it actually works, we’re willing to make that sacrifice. So the shirt looks pretty great—simple colors and branding, which we like. It comes in black, grey (sort of a marled grey) and white. There is a tag on the collar with some branding, as well as a small tag on the right sleeve—nothing crazy, hard to notice unless you’re really looking for it. We did find that the collar tag was pretty scratchy. Useful for hanging the shirt up, but ultimately we’ll probably be cutting it off. 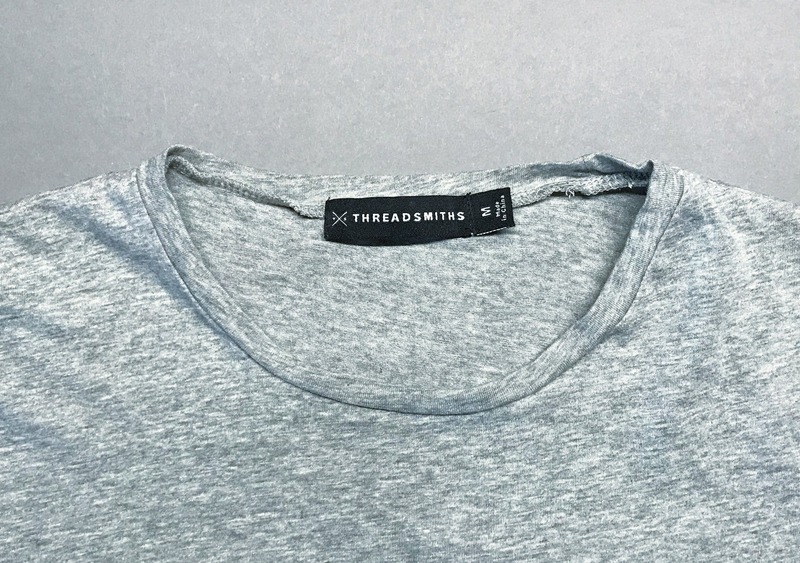 The folks over at Threadsmiths say their shirts are “hydrophobic,” and refer to the material as “an advanced hydrophobic nanotechnology application that repels water and dirt.” So that tells us… nothing. And anytime the word “nanotechnology” is used for a piece of clothing, there’s always going to be a bit of skepticism. So, with all this talk, we had to test it out for ourselves. Unfortunately, there were no food fights happening nearby, so we posted up on our balcony and just let it rip—we covered Tom in everything we could think of, from Sriracha to guacamole. Could we have tested the t-shirt on its own, without anyone wearing it? Sure. Would that have been nearly as much fun? Definitely not. Sriracha: Didn’t roll off immediately, but after a little bit of water it came off with no problems. Mustard: Again, didn’t come off right away, but with a little water it slid right off. Soy Sauce: Pretty amazing—when we drizzled it on, the soy sauce just rolled right off. We tried a projectile spray and that did soak into the shirt a bit, which created a bit of a weak point for other liquids to seep in. Orange juice:	We tried a pretty thick orange juice, and it just rolled right off. Coca-Cola: We really doused Tom with Coke and it didn’t do a thing. Red wine: The ultimate test—most of it rolled off and with a little bit of water it was all gone. No staining. Guacamole: Here’s where things get interesting. After throwing a handful of guac on Tom, it did sort of seep in. We noticed that it created a spot where the water didn’t roll off quite as well. Could be because there was some oil in it. Ramen: Repelled an entire cup of broth and all the noodles. Check out the slow-mo—you won’t be disappointed. Pizza: We slapped a whole slice of pizza on Tom’s chest—he was thrilled. All the residual sauce actually washed off pretty well with a bit of water. The best part about all of this testing—besides getting to throw guacamole at Tom—was what happened afterwards. Tom took a shower with the shirt on and the water just slid right off. In the shower. Seriously, there were parts of the shirt that were still dry after five minutes with the water on full blast. After that, it was totally back to normal. So, there you have it. Yes—these were ridiculous tests, but it does show what this shirt is capable of. We were pretty surprised, honestly. It held up well, the only things that seemed to really seep in were the oily products and the projectile soy sauce. As long as you can stay away from food fights and angry sushi chefs throwing soy sauce at you—you’re probably gonna be okay. If you spill some mustard on yourself or someone spills a glass of wine on you, this thing will handle it perfectly. We’re writing this review after testing the shirt out for about a month, so it’s hard to give a definitive answer when it comes to durability. After about five washes, it’s still holding up well—although the shirt height shrank a little bit. According to Threadsmiths, you can reactivate the water repellency by tumble-drying on low heat every three washes. We’ve done that and it does seem to work. Will it work a year from now? We’re not sure—check out the usage timeline below to see how it’s been holding up for us. At the time of this review, the Cavalier comes in at $49, which is pretty reasonable when you consider the functionality it offers. If you find yourself getting covered in food a lot—maybe you have an infant, or maybe you’re just terrible at eating—it is definitely worth checking out. Feels a little weird out of the box, but works great—repels liquid like a charm even after a couple washes and low tumble dries. Repels most liquids very well. Looks like a nice, normal t-shirt. Scratchy tag that should probably be cut off. Oil-based products don’t repel very well. When it comes down to it, the Cavalier t-shirt from Threadsmiths really does live up to the hype. It repels liquids, dirt, grime, and a whole bunch of other stuff—just be careful with oily products. It looks great, it’s easy to care for, but it does have some quirks—mainly the tags and the overall feel of the shirt. If you are that person that is constantly spilling on themselves, you really should check this thing out.